Born and raised in Indianapolis, Elder Eric J. Hayes, Sr. is the eighth of nine children. He professed a hope in Christ at 11 years old, and was baptized by Dr. James R. Bradley at the First Baptist Church of North Indianapolis. He answered his call to gospel ministry in 1986 and was licensed to preach in August of that year. He was ordained in February 1999 at First Baptist North, where he served as the director of the Baptist Training Union, was an instructor for the annual church institute, and assisted Pastor Bradley in numerous pastoral responsibilities. One of his most treasured memories is starting the church drill team for young people ages 5 to 18. His vision in establishing a church was to create a multi-ethnic urban ministry where the church is the hub of the families’ spiritual, social, educational, artistic, recreational, and vocational needs and desires. But he emphasizes we must not forget the number one function of the church is bringing lost souls to Christ. Elder Hayes says, “Evangelism is required of every saint, and the greatest expression of God’s love that we can show is to offer the eternal security that abides in Jesus Christ alone.” On October 7, 2001, Restoration formally installed Elder Hayes as our first pastor. Elder Hayes has an Associates of Arts degree and a Bachelor of Arts degree in Interdisciplinary Studies from Crossroads Bible College and is working toward his Master of Arts in Biblical Studies at Southern Baptist Theological Seminary. 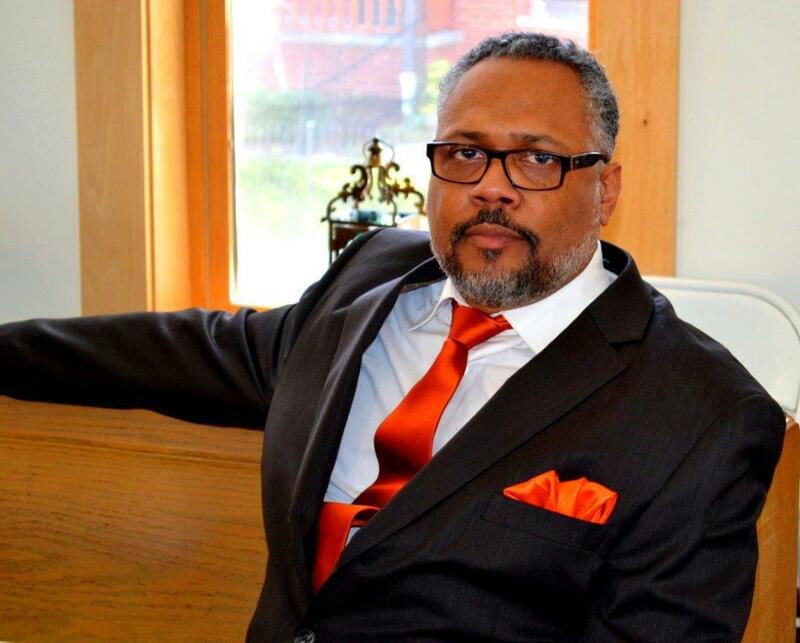 In addition to leading Restoration Baptist Church, he also serves as the moderator of the Capital City Fellowship Missionary Baptist Association. He and his wife of 33 years, Lisa, have three children: Eric Jr., 32, Meredith, 30, and Camille, 26. 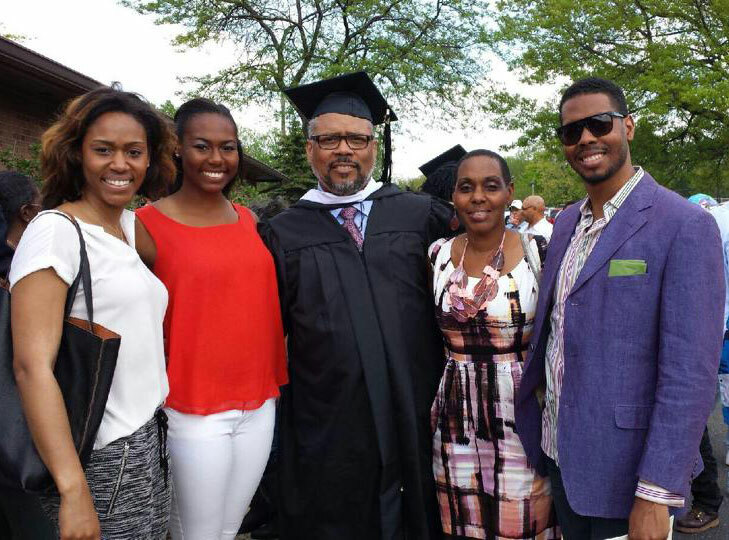 Elder Hayes with his daughters, Meredith and Camille, wife, Lisa, and son, Eric Jr.